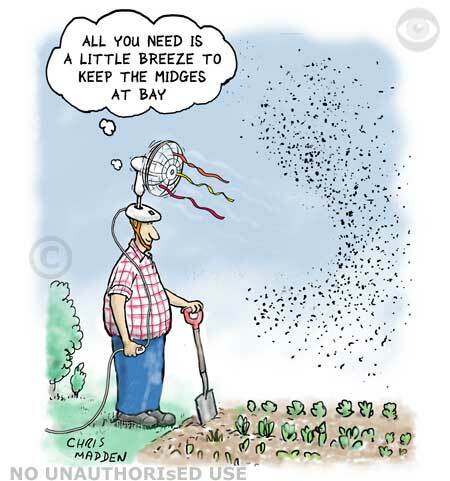 A humorous observation about hard to start power tools. To see my cartoons on the subject please click the image to the right or click the link below. A drawing about autumn, fungi, mushrooms, toadstools. A digital painting of fungus. Cartoon showing a gardener measuring the length of a bud on a tree and determining the progress of the seasons as a result. This is a cartoon about people who feel a need to measure things as a way of feeling that they are in control of their lives and environment. 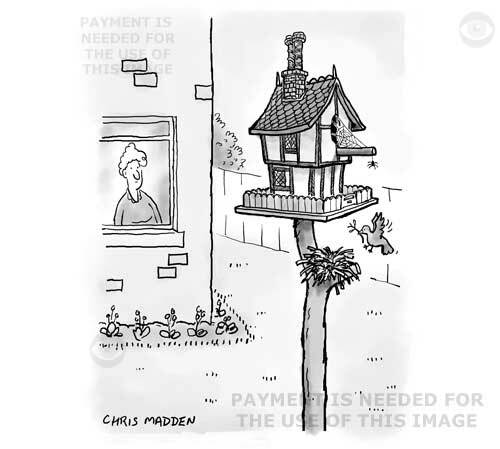 This cartoon isn’t a criticism of the data collecting urge. After all, where would we be without the people who do it? 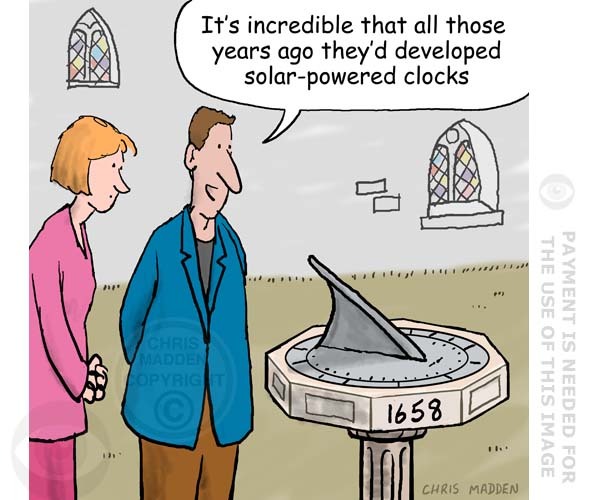 It’s due to them that we can predict what will happen in the future (The man in the cartoon is precisely predicting the time till the arrival of spring). A cartoon about control freaks, creating order, psychological personality types. The gardener is saying that it’s amazing how a tree stands there unnoticed all year – then it comes into blossom and you can’t take your eyes off it. 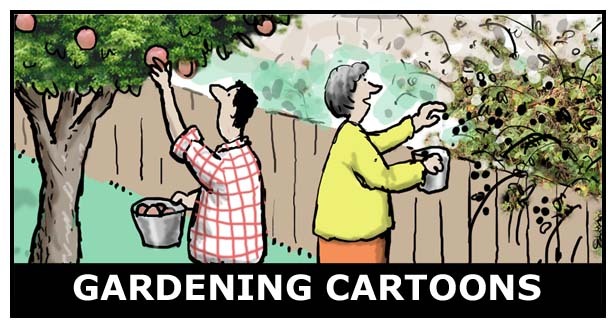 A cartoon about blooms, flowers, colour in the garden, attention-seeking flowers, attractive blossom, cherry blossom time, flowering trees, summer gardens. 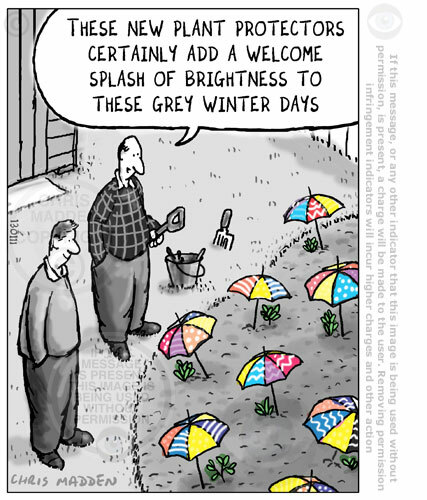 Part of the humour of this cartoon is that the gardener thinks that it may be a real alien spacecraft first and a children’s toy second. A cartoon about children losing toys in gardens, alternative explanations for phenomena, neighbours, next door neighbours’ balls in garden.